Founded by Dr. David Frawley (Pandit Vamadeva Shastri), the American Institute of Vedic Studies is an educational and research center devoted to the greater system of Vedic and yogic knowledge, including ayurveda, vedic astrology, yoga, tantra, and vedanta. Capeller's Sanskrit-English Dictionary is part of the Cologne Digital Sanskrit Dictionary project. If you are interested in exploring more about the Sanskrit terms that are used in yoga, it is a wonderful source of information. It was invaluable in verifying translations when writing this book. Natural Health (formerly East/West) is dedicated to promoting well-being through approaches that nurture self-healing. While not a yoga-specific Website, it has articles and columns on yoga and related topics such as health and fitness. Yoga.com was developed with the mission of presenting helpful information, including the latest trends in yoga, wellness, and fitness. It includes much useful information on yoga, including a library of articles. The Yoga Alliance is the first and (at the time of the writing of this book) only national organization providing a registry of yoga teachers and yoga schools that meet specific minimum standards of training. This is the Website of Yoga International magazine. It contains a wealth of information, including archived articles on yoga. This is the Website of Yoga Journal. It is also a rich source of information, including archived articles on yoga. This rather cumbersome URL address is the "links" page of Yoga Online. It is a directory of yoga resources on the Internet. 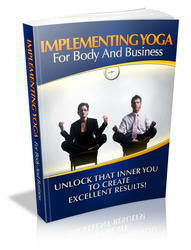 It can help provide you with a link to numerous yoga organizations and associations. This is the home page of the Yoga Research and Education Center (YREC). The YREC is a nonprofit organization founded by Georg Feuerstein, one of the leading authorities on yoga. It offers spiritual practitioners and students of yoga a wide variety of offerings, including articles and information on the history, philosophy, and practice of yoga and the spiritual traditions associated with the practice of yoga. The Website content is updated with current articles and links to other yoga-related Websites. Georg Feuerstein has made a priceless contribution to the understanding of yoga through the many books that he has authored. His writings have helped me personally to deepen my understanding of yoga over the years, and have served as reference points for verifying the accuracy of some of the information contained in this book. On this Website, he shares much of his vast knowledge of yoga. The International Association of Yoga Therapists is a division of the YREC that champions the cause of yoga and serves teachers of yoga—particularly those who use it therapeutically. This Website is a truly wonderful resource. Yogafinder.com bills itself as the largest yoga directory on the Internet, with information on yoga classes, teacher training, retreats, and yoga products. Of special note, it allows you to search by state and city for a teacher of a particular style of yoga. 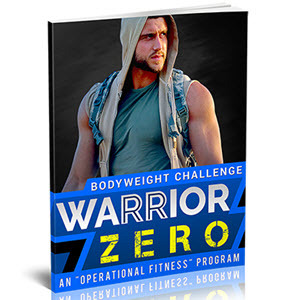 So if you've found an approach to yoga in Yoga for Men that you'd like to try, you might use this site to see where the closest teacher of that approach is located.